My mini sessions were a great sucess last year and I'm excitied to offer them again this year. I recently bought a great chair that will perfect for these fall sessions. 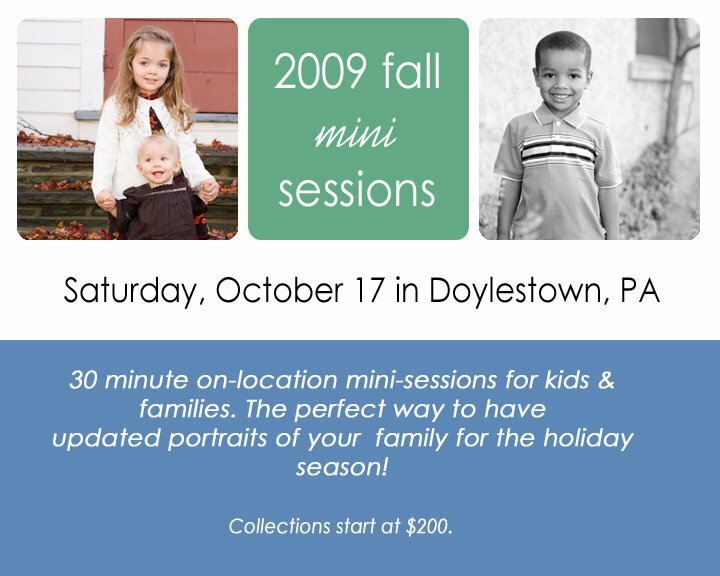 Mini sessions are perfect for those who either had a session earlier this year (especially for babies who change so quickly) and want something more recent for holiday cards. Or its perfect for people who want to see what a session with dm photography is like.